Leon Trotsky’s life and ideas still provoke interest and controversy, 72 years after his assassination. 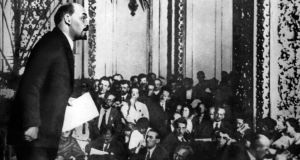 The Socialist Party and the Committee for a Workers’ International (CWI) bases itself on the ideas of Trotsky as well as those of Karl Marx, Friedrich Engels, Vladimir Lenin and fellow leaders of the Russian Revolution. 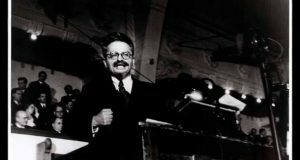 Here socialistparty.net reviews a new biography; "Leon Trotsky: A Revolutionary’s Life", by Joshua Rubenstein, published by Yale University Press. 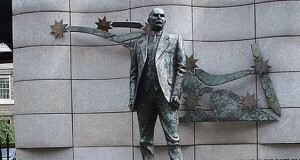 Another attempt to assassinate the legacy of Leon Trotsky? Condemnation of Leon Trotsky is well-trodden ground for so-called biographer Robert Service. Service was condemned by The American Historical Review (June 2011), which considered his 'biography' of Trotsky a complete distortion. Seventy years ago the greatest living revolutionary of the time, Leon Trotsky, was murdered by Josef Stalin’s hit man Ramon Mercader. There had been a number of failed previous attempts on Trotsky’s life but this time a fatal blow from an ‘ice pick’ successfully destroyed the ‘brain’ of the working class and the symbol of implacable opposition to capitalism and totalitarian Stalinism. This event, celebrated in the Kremlin by Stalin and the bureaucratic elite he represented, also brought joy to the capitalist governments of Europe, America and the world. Trade union activists expect class bias in the courts and employment tribunals. But rarely has a tribunal delivered such a blatantly biased judgment based on class interest. 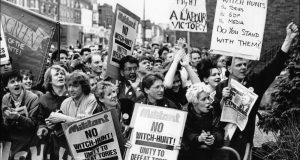 The employment tribunal judge declared open season for the persecution of Trotskyists, whom he considers "unworthy of protection" in a democratic society.